Drive a suped-up muscle car through a landscape plagued with the zombies in this horror-fueled action game. Drive a suped-up muscle car through a landscape plagued with the zombies in this horror-fueled action game. It is you and your muscle car vs a swarm of zombies as you navigate the perilous road in search of the undead. Run them over with your vintage beast of a car and score points. The changing landscape and difficult course is scary enough to maneuver, but killing all the zombies that have invaded your town is even more horrifying and difficult. Do not leave the undead standing. Chilling music and horror-show graphics combine for an instant cult classic. 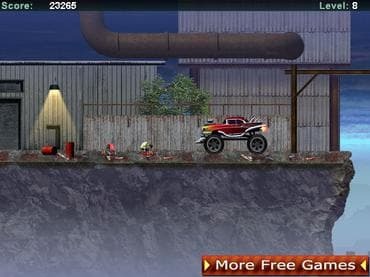 Play this action-packed racing game now and join the zombie resistance. If you have questions about Zombie Killer Race game, please contact us using this form.